A new study has uncovered a link between the synthetic thyroid hormone (trade name Synthroid) used to treat millions diagnosed with hypothyroidism and lung cancer, bringing to the forefront the harmful role that overdiagnosis and overtreatment plays in nutritional deficiency and chemical exposure related 'diseases." Russian Herb Treats Thyroid Disorders. Clinical research from Russia has confirmed that an herb that grows throughout Central Europe and used for centuries in traditional medicine is useful for the treatment of several thyroid conditions, including goiter. 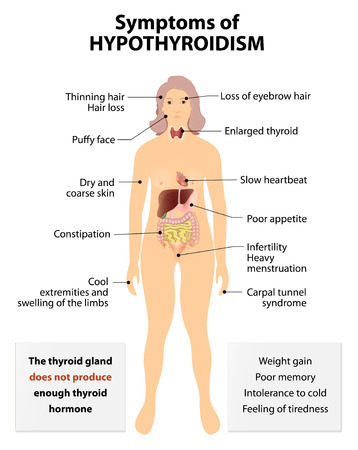 Discover protocols that could lead you into thyroid disease remission. Is Rocket Fuel (Perchlorate) Destroying Organic Farming? Perchlorate is an environmental pollutant primarily associated with releases by defense contractors, military operations and aerospace programs, as it is a key ingredient in rocket fuel. It is now found contaminating conventional and organically grown food, alike. A recent clinical trial indicates that the most common cause of hypothyroidism (Hashimoto's disease) may be improved with the addition of only two grams of powdered black seed daily.